Both his parents were killed months earlier in one of post-independence Africa's worst instances of bloodshed, the Liberian civil war. Johnson spent the following 27 years searching for a safe place to settle and trying to leave the ghosts of the conflict behind. One day - at the beginning of October - he arrived in Niger, having survived a week-long, forced trip through the Algerian desert. "We've been gathered in buses, travelling from town to town without food, obliged to walk for 30km in the Sahara with a gun to our heads, and packed like animals in a truck until we reached Agadez," he recalled. "There were Cameroonians, Ivorians, Guineans, Nigeriens, women and children, we saw everything there," he added. 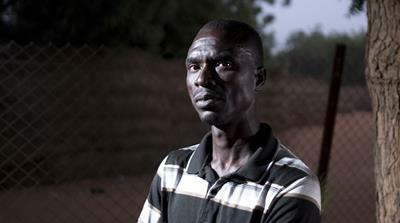 Johnson's forced trip was one among dozens of mass expulsions of migrants organised by Algerian authorities in 2018, attracting international criticism over the country's treatment of sub-Saharan citizens, often abandoned in the desert, hours away from the closest border post in Niger. "2018 has been a terrible year for migrant workers in Algeria, marked by the biggest number of arrests and deportations ever," human rights activist Fouad Hassam told Al Jazeera. "Civil society actors and NGOs have been attacked for defending migrants," he said over the phone. "But this is only a part of the collective paranoia that rules our country: activists, bloggers, journalists, unionists or artists are seen as a menace, and migrants as well." 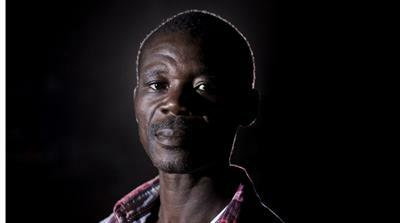 "From that moment on, things only got worse: your skin colour was a crime," Hassam said. "No matter what your legal status, you could be locked up and deported anytime, only for being black." "I knew that Algeria was unsafe," he recounts, "but after endless travels, I could finally work as a daily labourer in construction sites, earning something to fulfil my dream, which is to reach France." "In Algeria, I had to hide, but at least there was some work," he says. His European dream was interrupted abruptly one night in Algiers. "On our way back from work, the police took all the blacks to a barracks. They didn't check our documents and the next morning, they threw us in a bus. Those asking to go home to collect their things were beaten hard." Johnson says it was a journey through hell. He and his companions were insulted and beaten at every stop. "They told us it was a punishment for being in the country, and that we never have to come back", he said. During one of the stops of his convoy, he says a Liberian woman "was raped in turn by three agents inside a police facility and forced to dance naked in front of them". One man "died of internal bleeding, after being kicked all over his body". "We buried him with our own hands in the desert," he says, his voice trembling as he recalls those moments. "I know very well what it is like," he said. "Algerians deported me five times since I entered the country in 2013." The two met in Agadez and decided to reach Niamey with a common purpose: making some money in order to avoid going back to Liberia "empty-handed". Like hundreds of other refoules ('the rejected ones' in French), as they're called in Niger, they pass their days walking in the city's busy market squares looking for opportunities and a place to lay their heads. Transit centres offered by the International Organization for Migration (IOM) are packed with people demanding to return to their home countries through the UN agency's voluntary return programmes. "As push-backs continue, we're submerged by requests, but we can't open a new centre overnight," an IOM official told Al Jazeera. "These summary expulsions are justified by referring to a 2014 agreement between Algeria and Niger, but in reality, we are facing enormous violations of international norms and human rights," Amnesty International researcher Debora Del Pistoia said. 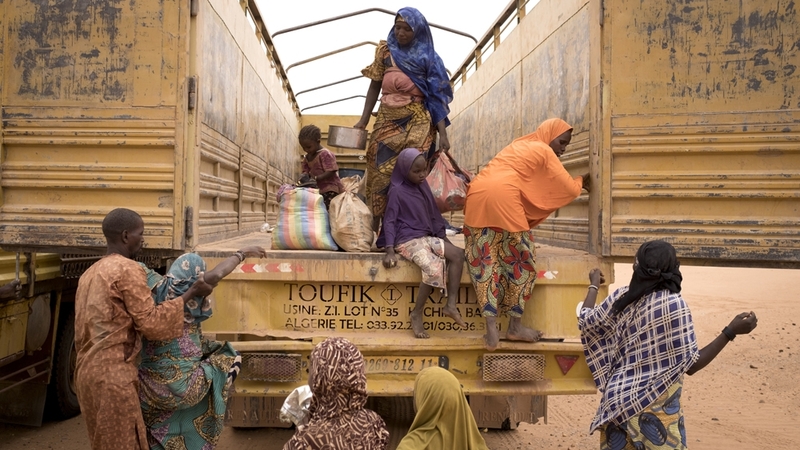 "But among the deportees, there are refugees and asylum seekers registered in Algeria and people from all over West Africa, who were detained and deported illegally," says Del Pistoia. Amnesty International's campaign, "Forced to leave", launched on December 20, calls on Algerian authorities and their partners to immediately stop these practices and avoid any form of racial profiling. Asked for a comment by Al Jazeera, the Algerian interior ministry didn't respond. During a conference on global migration earlier this month in Morocco, Minister of the Interior Noureddine Bedoui said Algeria respects the rights and dignity of migrants but had been through "a huge and continuous arrival of migrants and had to take measures to reduce it". According to Del Pistoia, statements by top Algerian officials, such as Prime Minister Ahmed Ouyahia's in July 2017 that migrants were "a source of criminality, drug and other plagues" contributes to "a climate of xenophobia, where black migrants become the scapegoat for Algeria's internal problems". 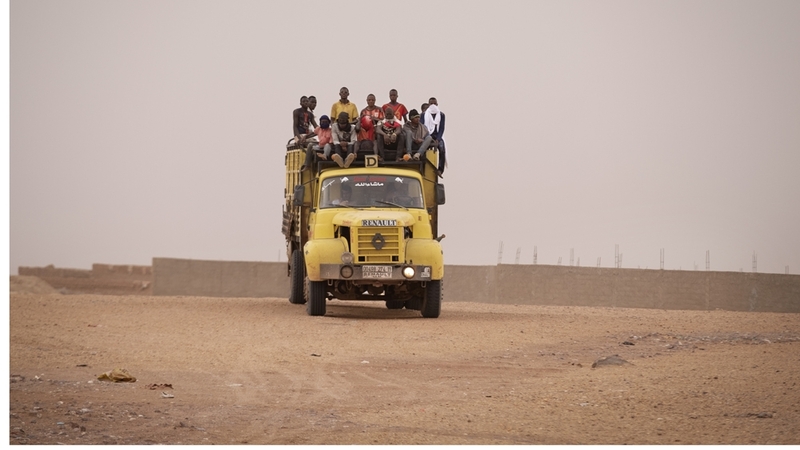 Data collected by Amnesty International shows a sharp increase in collective expulsions from Algeria to Niger: from 1,340 people in 2014, 9,300 in 2017 to 26,000 in 2018 - 40 percent of whom were abandoned in the Sahara and forced to walk for hours to reach Assamaka, Niger's first border post. 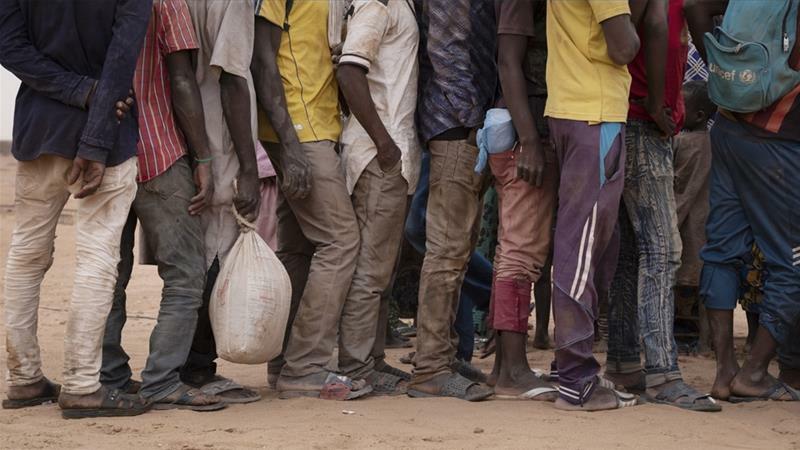 In Niamey's Wadata square, around the Grand Marche or in the alleys of the crowded Katako market, deported migrants, carrying all their belongings in backpacks, are a common sight. "You'll see many with mental health problems, after all they went through," says Johnson, who is hoping to make some money from the city's construction boom in view of the 2019 African Union summit. Going home seems then to be the only option left, with a hope that "George Weah, our new president, will respect his promises and bring Liberia out of the war's heritage".